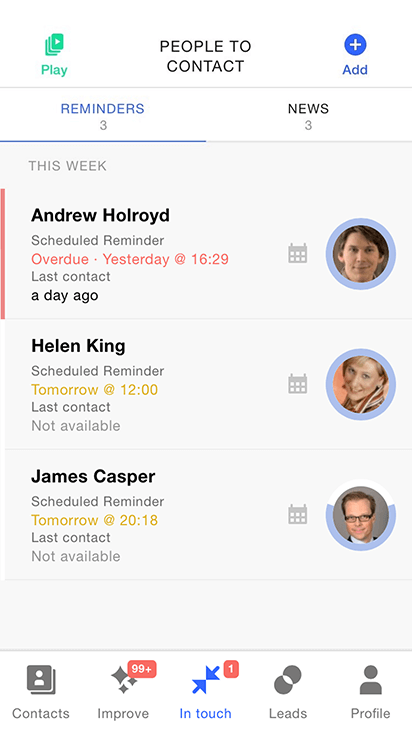 Organise your contacts, manage your relationships and expand your network with Covve. What you’ll love about Covve. 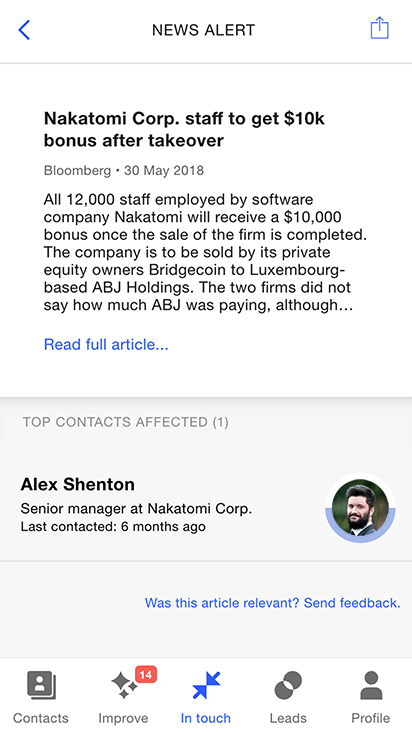 Covve’s AI-powered News Engine will notify you of news affecting your contacts so you can reach out. 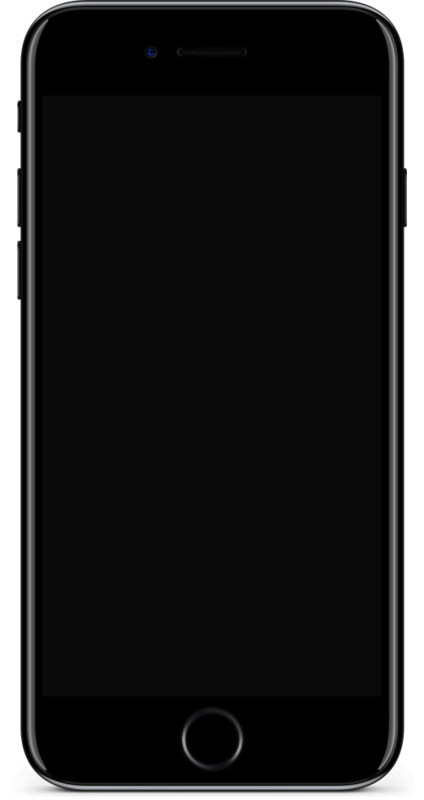 Get auto reminded on who to contact each week and notified when you are losing touch with people. Record notes against each call and always be well informed for the next one. Send a business card at the press of a button, keeping a history and notes to never forget where you met. 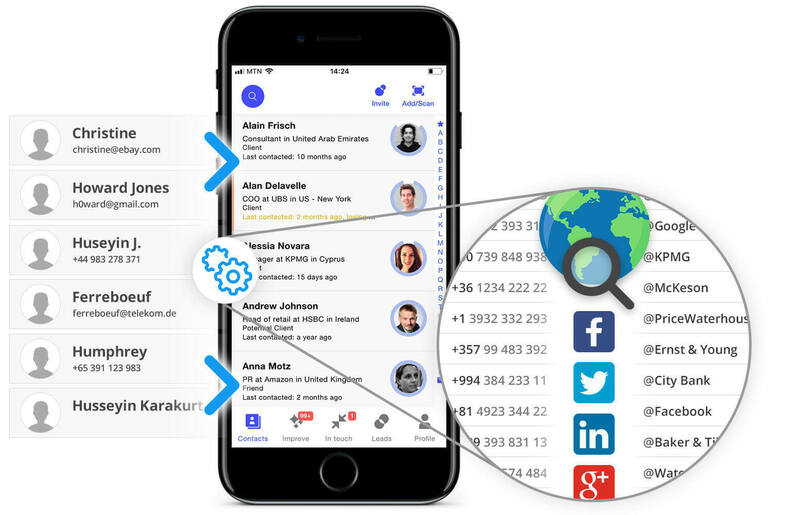 Combines sophisticated proprietary technology and external sources to find and suggest information for your contacts. Country, company, industry, job title, seniority and social network profiles are automatically identified. Approve them to update your contacts. Continuously monitors for changes to keep details up to date. Automatically applies updates when a friend you are connected to changes any of their details, so you always have their latest phone number and email. Scans business cards to quickly add new contacts. Accessible on all your devices — phone, tablet and desktop/laptop. Install the mobile app or sign-in to your account on any browser. 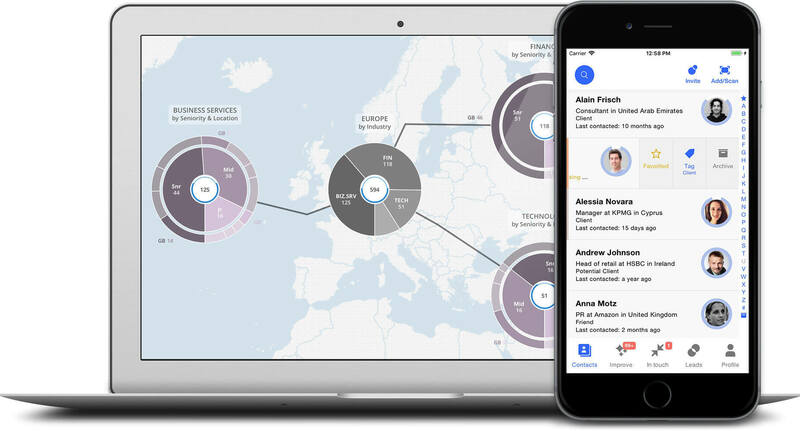 Interactive contact mapping, by country and industry, allowing you to explore and analyze your network and discover new insights, as well as understand it’s strengths and weaknesses. Powerful and versatile search quickly finds who you are after; you can search for people in a particular industry or a country, or search a combination of fields, including your customized tags. Filter the results using a dynamic filter to pinpoint the exact contacts you are after. Connect with the people you trust on Covve and share what type of people you know. 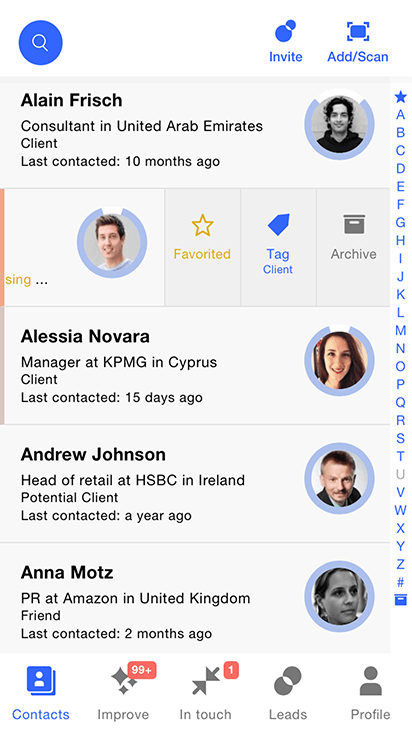 Covve protects the privacy of your contacts and never shares names or contact details. Instead it allows you to search for the profile of people you’re looking for. 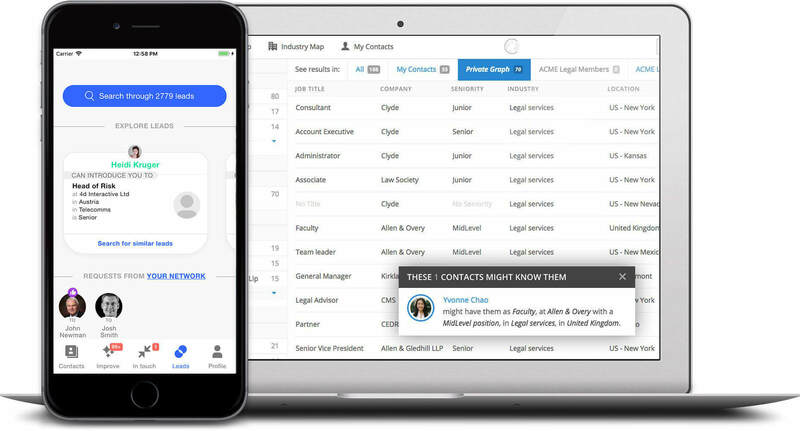 For example, Covve can tell you that your friend John, knows a Partner in that legal firm you are after in the United Kingdom. You can build a network with your friends, within your company or across your alumni group. Use the interactive maps, powerful search and filtering to scan through a network of warm leads and find who from your friends and colleagues can open that door. Only you have access to your contacts’ private data, only general information is shared, no names, no contacts details. Just download the mobile app and sign-up. You can then access the web app using the username you just set. An intuitive interface and easy to follow tutorials will make sure you make the most of Covve. We are always here to help, visit our help center or email us at support@covve.com.